Naturally caffeine free, rooibos tea is nothing new in South Africa. But when the founders of Red Espresso first put this local tea through a 9-bar espresso machine, it became an instant antioxidant powerhouse. Lab tests confirm that Red Espresso has five times more antioxidants than green tea and 10 times more than regular rooibos tea. Who needs a caffeine fix when you can have this? As the coffee culture worldwide grows, Red Espresso has caught on as the healthier, caffeine free option. From San Francisco to London baristas are serving Red cappuccinos and lattes to their more health conscious customers. Red Espresso was recently featured as the cover story in Fresh Cup, a leading coffee/tea trade publication in the US. You can run your Red Espresso through an espresso machine or naturally pressed with an aeropress or old fashioned French press. Enjoy as a cappuccino or latte made with a double shot of Red Espresso topped with steamed milk of your choice. Serve with cinnamon and a bit of honey. Now you can buy your Red Espresso in ready to express capsules, compatible with most coffee capsule machines. For a super refreshing drink try this popular Red iced tea mixing a double shot of Red Espresso with apple juice, garnished with fresh mint. 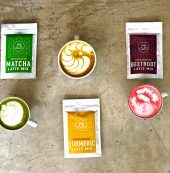 Red Espresso continues their tradition of new and exciting caffeine free alternatives to coffee with the addition of their range of colourful superfood latte mixes. 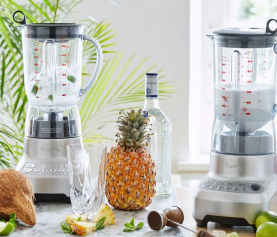 They are made with real, plant-based ingredients, are vegan (when prepared with dairy alternatives), non-GMO, naturally caffeine free, nut free, gluten free, additive and preservative free. 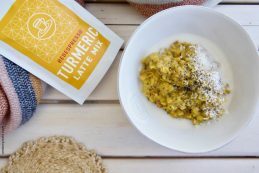 Turmeric Latte is the perfect blend of turmeric, cinnamon, ginger and coconut blossom sugar that helps improve digestion, reduce inflammation and combat viral and bacterial infections. 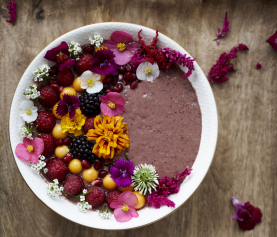 Beetroot Latte is made from real beetroot that has been freeze dried into a powder, ginger and coconut blossom sugar. It is very high in antioxidants, the ideal drink for after a tough gym session or if you feel the flu coming on. 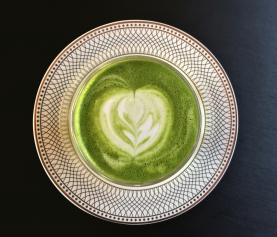 Matcha Latte is made from antioxidant strong green matcha tea powder and coconut blossom sugar and can help fight free radicals caused by sun, pollution and stress and prevent premature ageing, heart diseas and cancer, making it a firm favourite amongst health seekers. These latte mixes can also be used in smoothies, breakfast bowls and in baking, adding colour and health to your everyday.